A look at what customers can expect from this trusted bullion dealer including their bullion vaults by guest blogger, Tim Mitchell. When you first contact Gold Investments, you’ll immediately find that each member of the team is not only extremely knowledgeable but also friendly and approachable too. Gold Investments has been trading in the precious metal for more than 30 years, which makes it one of the oldest bullion dealers in the UK. Started by Mike Temple, Gold Investments remains a family business to this day and has retained many of its early customers. This is an incredible achievement considering how competitive the market they operate in is. The dealer has an enviable reputation for its personal and quality service. After booking an appointment, customers arriving at Gold Investments’ conveniently located offices next door to Leadenhall Market in the City are invited in for a tea or coffee where a warm welcome awaits. In a relaxed atmosphere, each member of the team takes the time to listen to their customer’s investment aims and objectives. 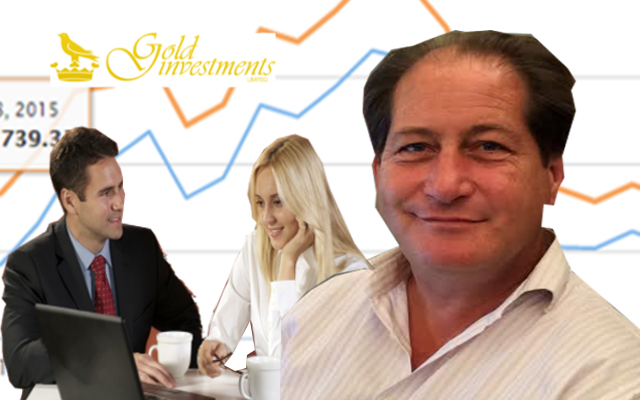 Gold Investments’ staff – drawing on their vast experience – are then able to outline gold options. Explains Sales and Marketing Manager, Oliver Temple, hard ‘selling’ tactics are never used. Gold prices have recently been climbing possibly in response to world economic events as previously written about by Mr Temple. The precious metal is often seen as a safe haven during economic difficulties and gold is again becoming more attractive to investors. Gold Investments’ storage facilities are worth visiting in their own right. Bullion is stored securely at the London Silver Vaults on Chancery Lane. London Silver Vaults’ history can be traced back to 1885 when it was known as Chancery Lane Safe Deposit Company. This was one of the first companies in England offering safety deposit boxes to the public. Despite a World War 2 bomb destroying the building above, the vaults remained in tact. Today, as well as the vaults, there is a fascinating underground market place of mainly silver antique dealers. Anyone can visit for free and the atmosphere is extremely friendly. The vaults are still protected round the clock but the guards have relinquished their cutlasses which they had in Victorian times! The entrance can be found at Southampton Buildings on the corner of Chancery Lane. Oliver and the team would be happy to show you around. Oliver Temple also regularly shares his knowledge in the Gold Investments’ blog. There is also a Gold Club where anyone can be kept informed of the gold markets and receive special offers. What’s clear is that not all gold bullion dealers are the same. Surely the main reason that Gold Investments has such a loyal customer base is because they are trusted time and time again. In such a competitive market place, this has to be saluted. Gold Investing Thoughts: Joe Wadsmith From Richmond, Surrey.